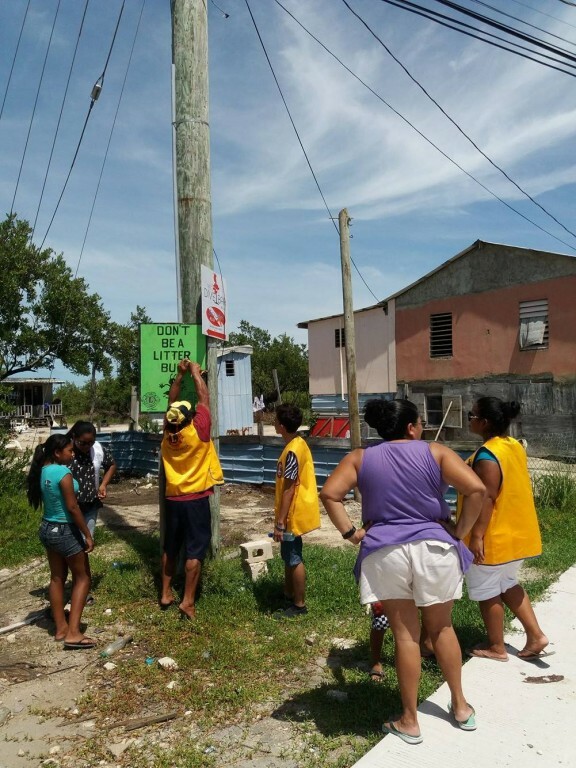 Improper garbage disposal has long been a problem across Ambergris Caye. 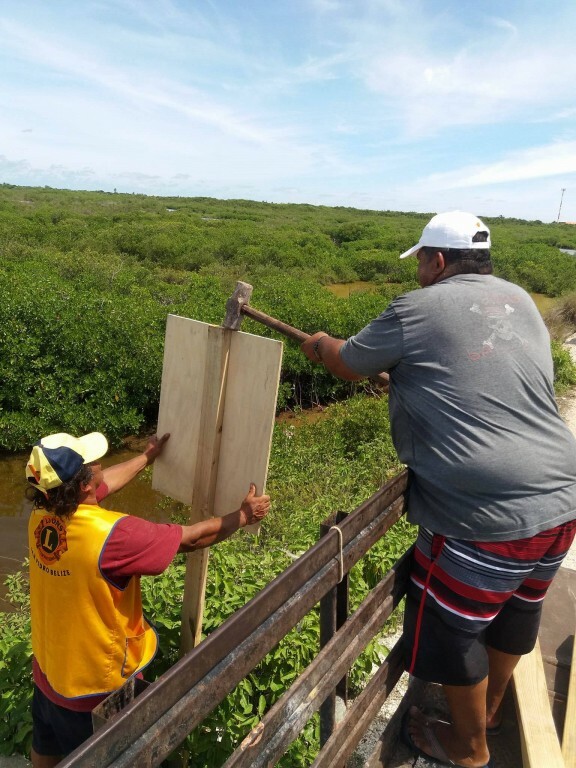 Throughout the years, several organizations have launched clean-up initiatives to bring awareness to land pollution and the effects it has in our environment. 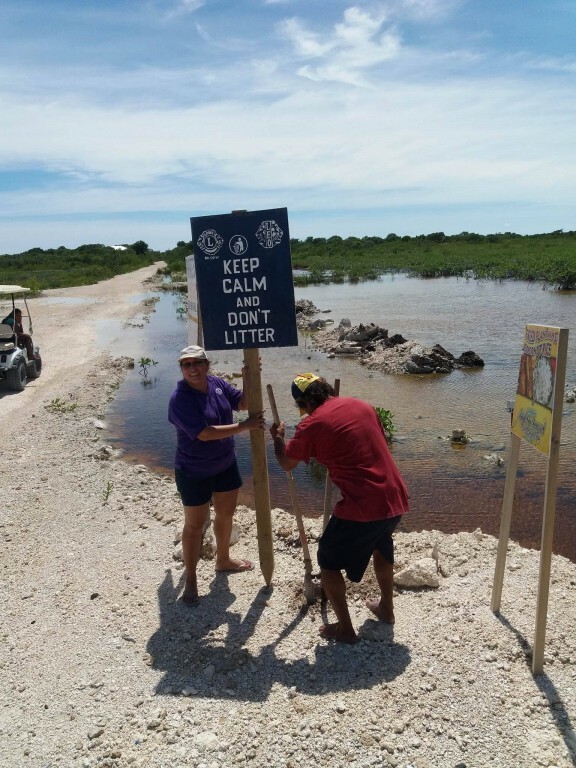 As improperly disposed trash continues to accumulate on the island, the San Pedro Lions Club along with the San Pedro Leos Club is making an effort to encourage people not to litter by placing signs on Northern Ambergris Caye. 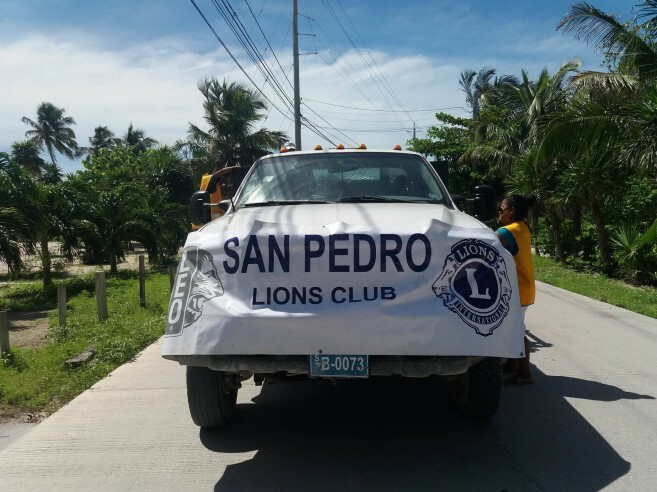 According to the San Pedro Lions, the project was initiated by the former San Pedro Lions Queen and Leos’ member, Solani Graniel last year. 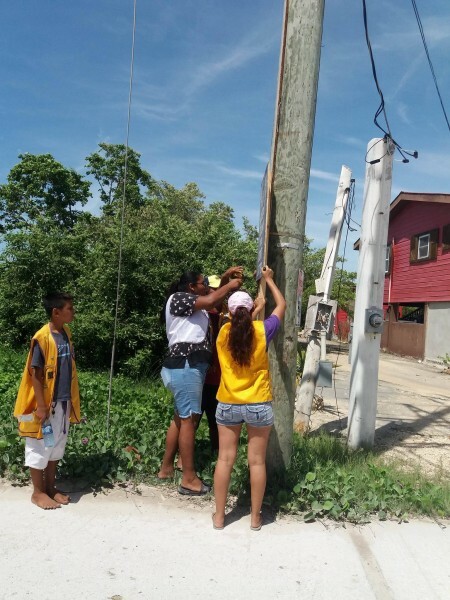 The project was completed this year by the Leos with assistance from the Lions Club. 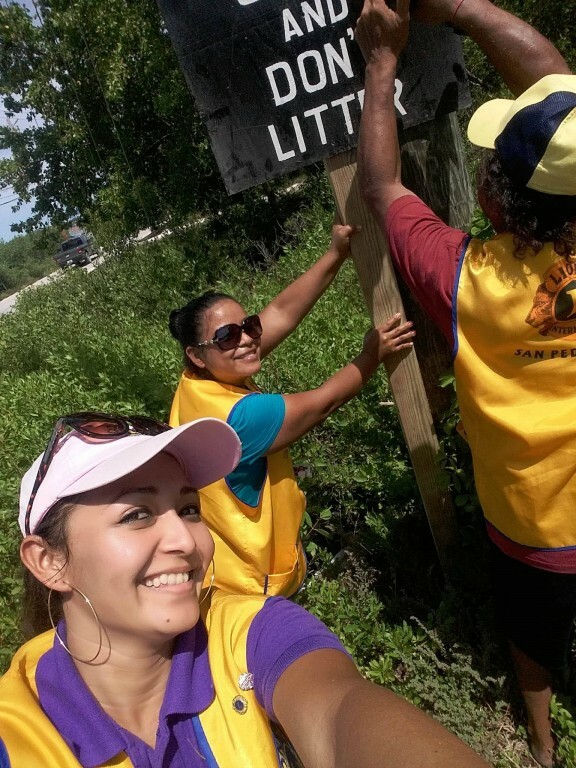 In observance of Lions World Service Day, members of both clubs took to the streets on Sunday, October 8th to install the anti-littering signs north of the Sir Barry Bowen Bridge as far up as four miles. 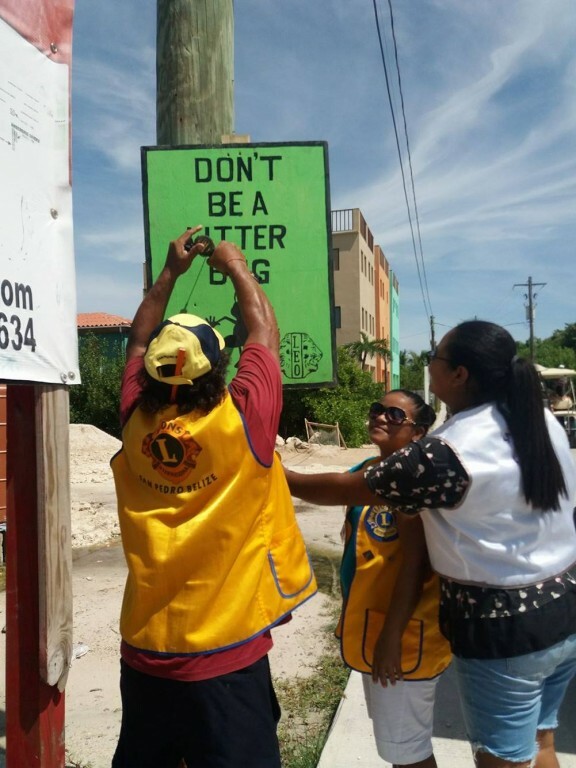 The aim is for these signs to remind persons traveling in the area to refrain from disposing garbage along the streets or in the nearby waterways. The clubs wish to thank everyone who contributed to the project including Castillo’s Hardware, Maya Hardware, Rio Hardware and all those who volunteered time in the construction and placement of the signs. 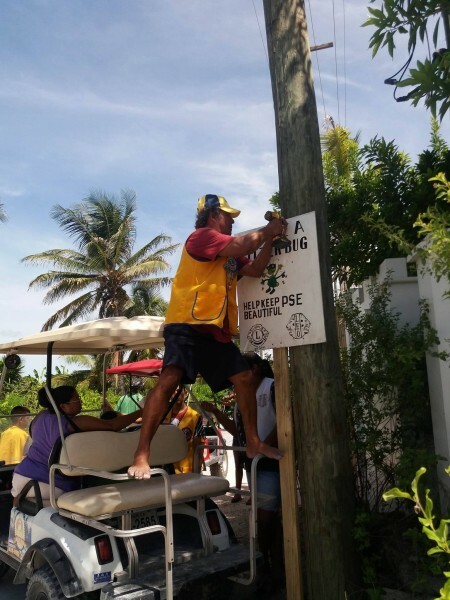 Once again, island residents and visitors are reminded that littering is against the law. Any person caught littering can face a fine of up to $500, while persons guilty of improperly dumping large amount of garbage can be fined up to $5,000. The San Pedro Sun joins the San Pedro Lions and Leos in encouraging everyone to do their part in keeping San Pedro clean.